The Eclipse 500 Range varies on the amount of fuel/on board weight and which max range standards you apply to Eclipse 500 jet. 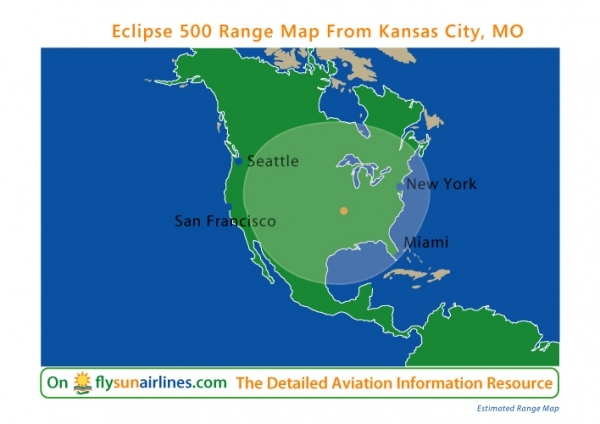 Below is the Eclipse 500 airplane range information with specific scenarios. Main Eclipse 500 Range: 1,125 nautical miles or 1,295 statute miles. Overall the range of the Eclipse 500 jet remains at the top of jet's in it's category.